Was a great dispensary but unfortunately it's no longer open, despite google and leafly's info. Absolutely love this place!! The employees are very knowledgeable & friendly. It’s a long drive for me but it’s most definitely worth it. I actually like that their still all medical too, even tho it’s not gonna be for too long. Because it allowed one of my VERY FAVORITE growers to drop their product off there & I am so grateful for that!! But I would most certainly recommend Green Apple NW to any fellow OMMP patient, & I’m sure you recreational customers will be allowed in sooner than later. I have been coming to this place since 2015, and today I was very disappointed, not only did I not get a wide variety of many choices, I was not offered a discount of any kind, like they post online. I asked how much I had on the books, “it was points or money saved and added as a discount on next service or you saved for another time” He said $3, I could not argue. So I made my purchase and then was not offered that discount. And all of that may be a miscommunication, I just didn’t like the fact of small choices, nothing but flower. All displays are empty. I will not be returning until I personally see a change. I ❤ Green Apple! Friendly & knowledgeable! Good meds, fair prices and honest proprietors. We stopped in and discovered this nice dispensary. $30 bho! This location is easily wheelchair accessible. Hi Sandy77! Thank you so much for your awesome review. Hope you enjoy the oil and see you again soon! The staff is friendly and helpful and the flower is excellent. This store is pretty close to where I live, so the convenience is great. The staff are very friendly and truly knowledgeable. 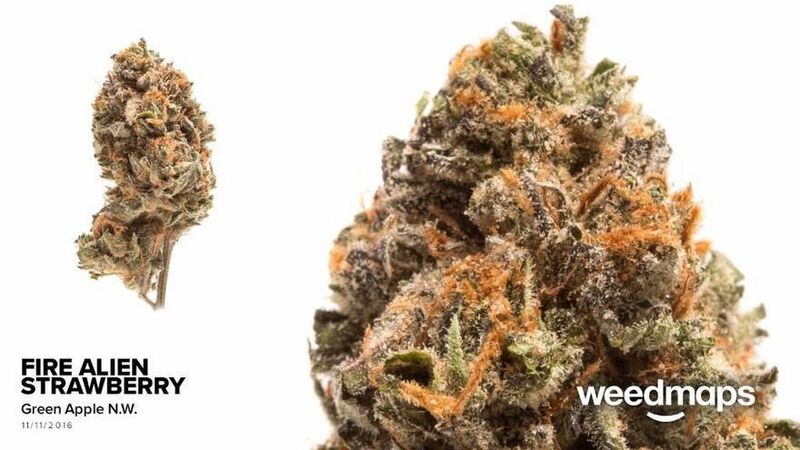 Unlike other dispensaries that seem to push strains based on a sale or price point, these budtenders ask the right questions and make wonderful recommendations. The flower quality is the best I've seen in a 20 mile radius and the prices are very competitive, especially considering the excellent quality. My favorite spot for great flower. I came in today looking for some Resin ranchers. And i left with some Jessie James Garden (Cookies and Cream),some new competition for resin ranchers. Great selection, super knowledgable staff who know about strain info and are happy to help you find the strain that fits your personal need. Biggest joint selection in Oregon. Next door they have a professional glass shop so if your new to smoking it is a one stop shop or just nice if your needing a new piece. Thank you so much, we are all Medical Patients and want to be sure that our patrons have the best products and the most information and education available. Thank you for supporting us, we really value our patients. Please be sure to bring your Leafly card back in for your free battery. Great staff with great customer service skills. Bud tenders are friendly and always helpful and knowledgeable about their product. Fantastic location as well, I'm so glad my favorite dispensary is so close to my house!